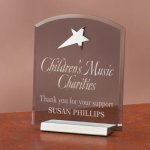 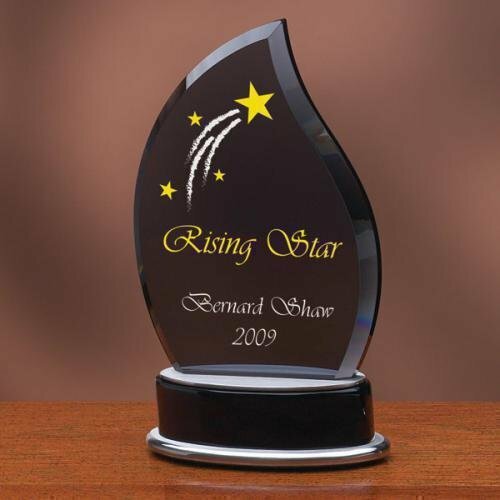 Our cast shooting star awards are available in chrome and brass metal and are displayed on a square Piano Finish wood base. 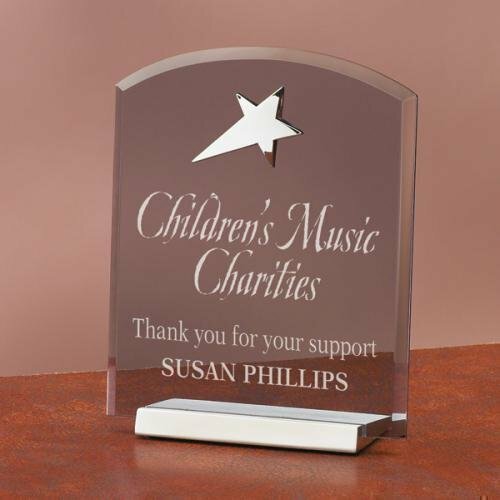 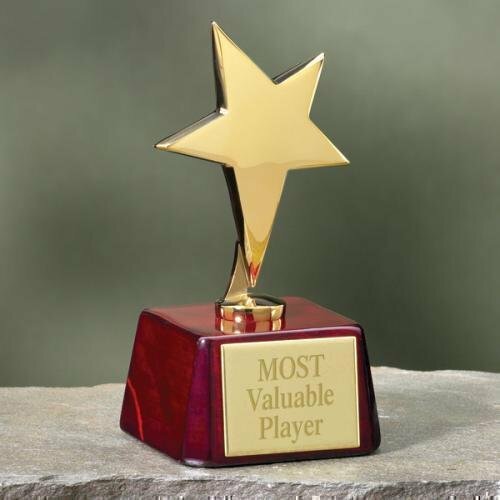 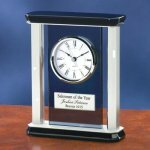 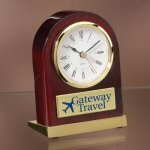 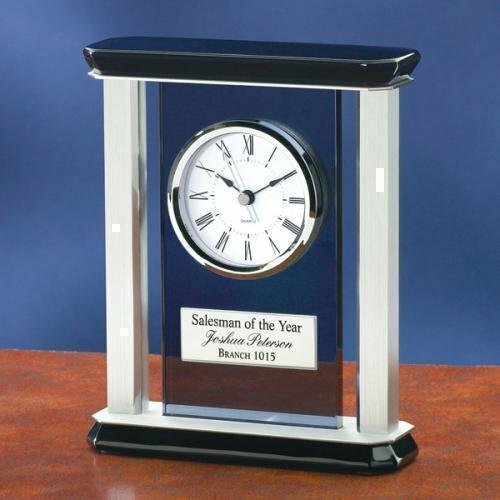 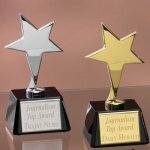 These stunning awards measure 4 1/2" wide x 4 1/2" deep x 9 1/8" tall with 2 5/8" x 1 3/4" engraving plate included. 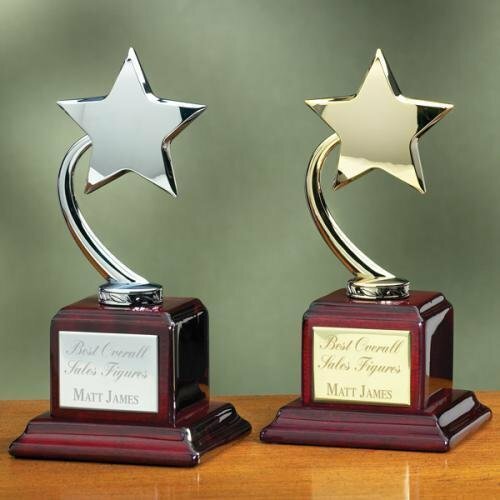 An award perfect for presentation as an achievement award, employee award, patriotic award or simply your a star award. 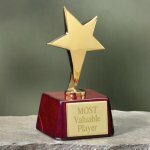 Smoked Orbit Trophy. 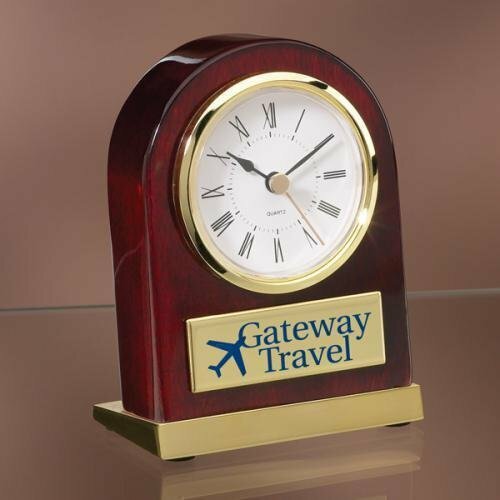 Comes in three different sizes. SM SMOKED ORB TROPHY, 5" X 4.5"
MED SMOKED ORB TROPHY, 6" X 4.75"
LG SMOKED ORB TROPHY 7.25" X 5.25"
These brass and chrome metal star awards sit beautifully on a piano finish wood bases. 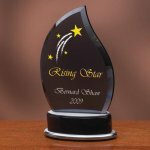 The two taller designs (back left and right) come with a round base measuring 4 1/2" diameter x 7 3/8" tall with 3" x 2" engraving plate included. These metal star awards are available in chrome and brass. The shorter two metal star awards are show left front and right front. 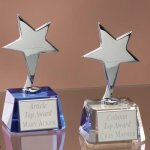 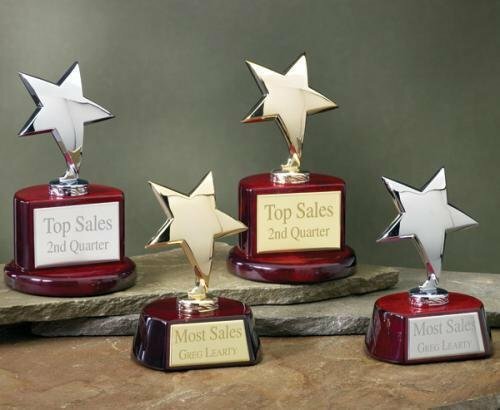 These awards are perfect for presentation as an achievement award, employee award, patriotic award or simply you're a star award.